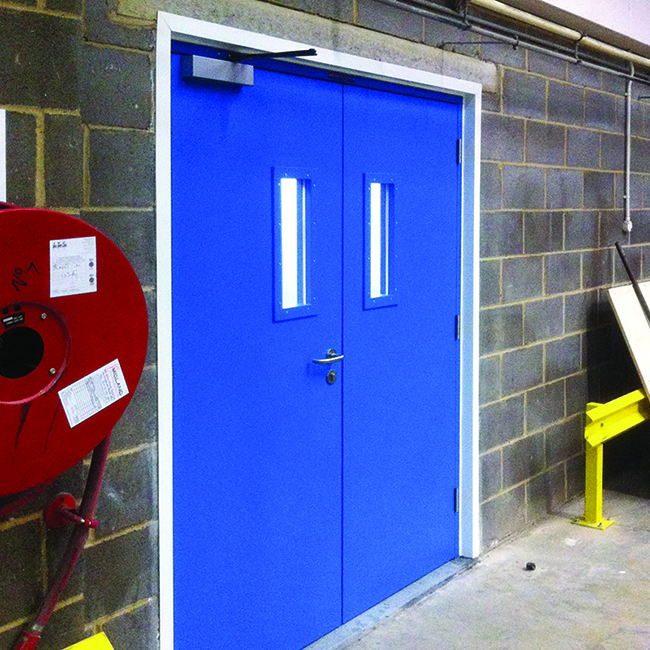 Steel security doors certified by LPCB to LPS 1175 Issue 7 Level SR2. 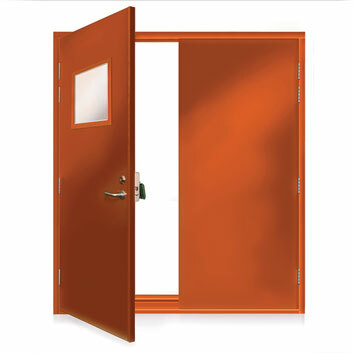 Single, leaf-and-a-half and double leaf, outward opening doorsets with single-point locking option and vision panel option. Heavy duty barrel bolts fitted as standard to all double doorsets. Strong 1.5mm Electro-Zinc coated still for maximum corrosion resistance. 45mm composite steels door leaves with incorporated anti-lever lip to closing edge. 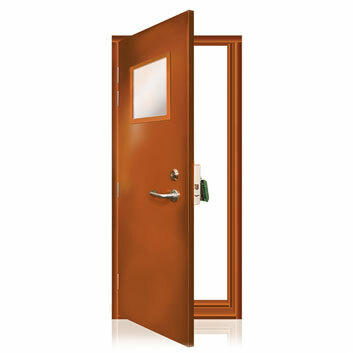 Can be fitted with our ExcluGlass® vision panel. Weight: Approximately 40-65 kg per square metre (depending on model). 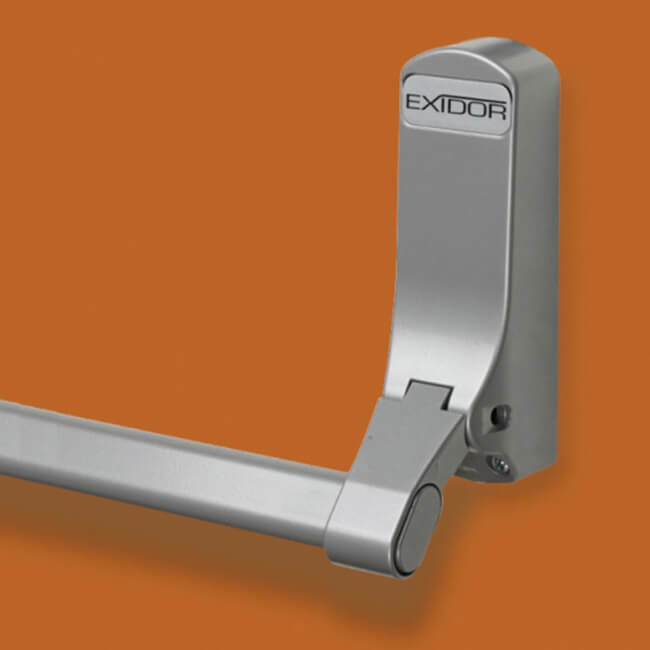 High security locking from ASSA and panic furniture from Exidor a wide range of locks and options are available. 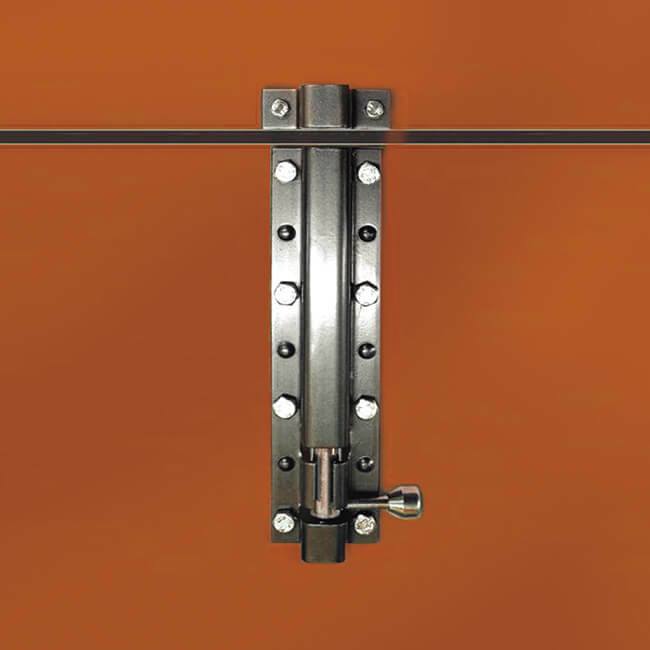 Heavy duty barrel bolts are fitted as standard to the passive leaf of double doorsets. 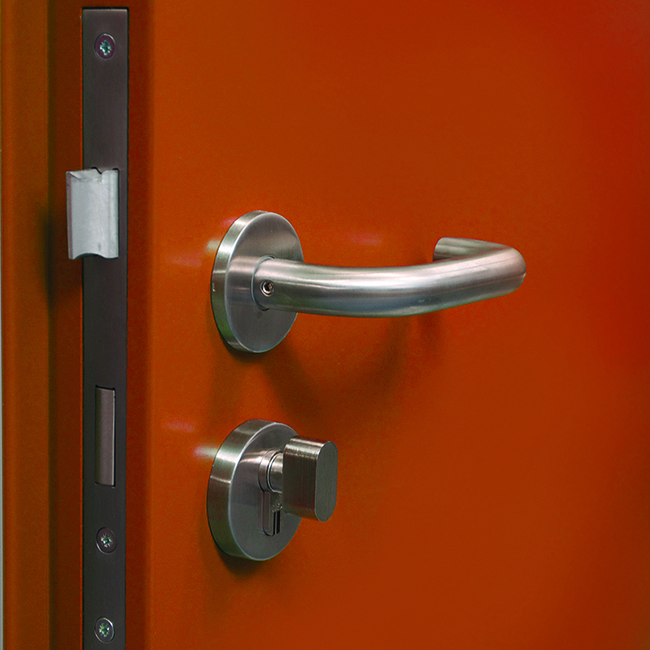 Can be fitted with our ExcluGlass® 2 Vision Panel when both security and vision are important. 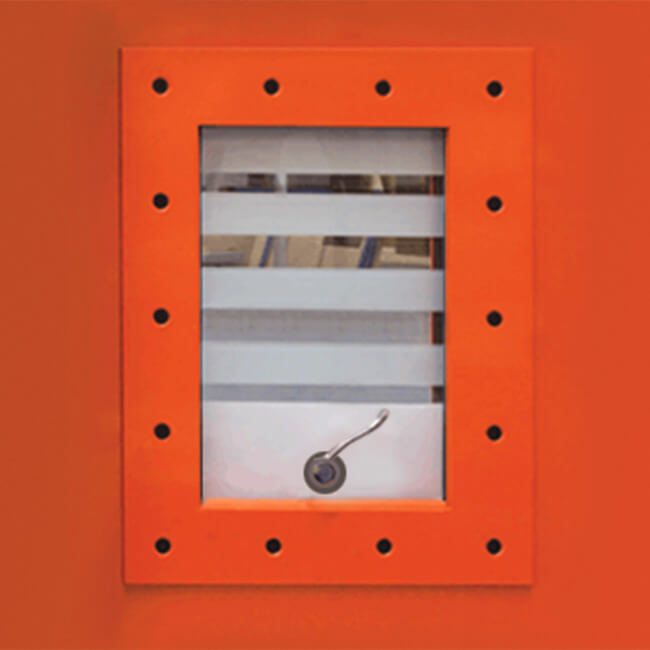 Optional Vistamatic Sherman vision panel. 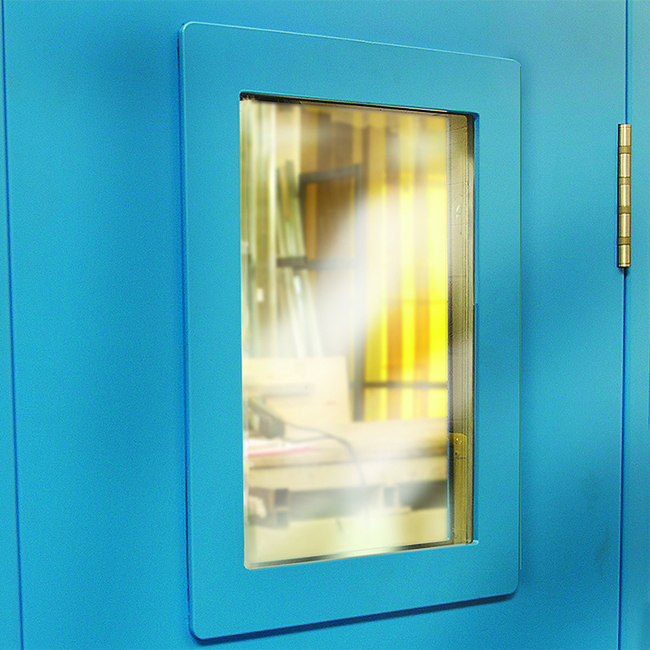 ExcluGlass® 2 rated vision panel. ExecDoor® 2 double doorset specified with vision panels.